Many business entities want to get Aadhaar eKYC data to onboard their customers. 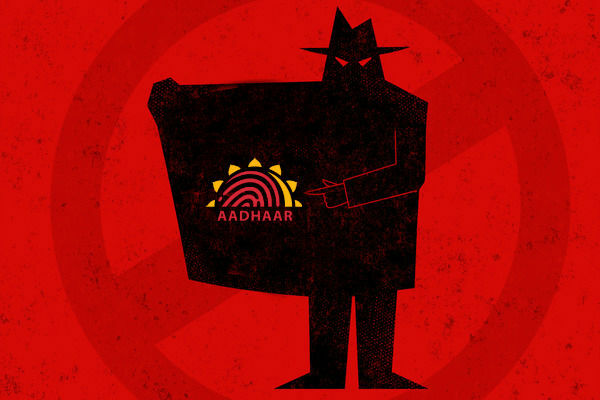 According to UIDAI(Unique Identification Authority of India) regulations, the only way to get eKYC data is to register as a KUA (Kyc User Agency) with UIDAI. We had given this information to anyone who came to us to see how they can use Aadhaar eKYC for their business. Still many had questions about the possibilities of sharing eKYC data with other entities or availing eKYC as a service from already existing KUA's. We were of the opinion that this was not possible but we decided to get it cleared with UIDAI itself. So we filed an RTI inquiry with UIDAI, the RTI inquiry number is UIDAI/R/2015/61152. Following were the questions we asked and answers we got from UIDAI. The original RTI requests and response docs are also shared at the end. Q1) Is there any way a company/firm can get access to e-KYC without becoming a KUA? Q2) Is there any entity in India allowed to offer Aadhaar e-KYC as a service to other firms who are not registered KUAs If yes, which all are those entities? Answer from UIDAI : No. To sum up, if you want to get e-KYC data, you need to enroll as KUA. As of now, any entity claiming to give you eKYC data without a KUA registration is either ignorant of the guidelines or an outright cheat, either way you are going to pay the price for it. And these are the first steps to start implementation. Feel free to contact us for any more information.